Towing any cars on the back involves some carefully taken steps, and with 4 car trailers or 6 car trailers, it demands even more care. Towing a trailer is not a piece of cake and if you do not do it carefully you will end up meeting fatal accidents on roads. To make sure that the towing process goes smoothly, you will have to follow some steps. The guideline will illustrate some safety precautions that need to be taken to ensure the safety of the trailer. Before you think of towing a trailer, read the state driver’s handbook and stay aware of all the state regulations. For many states, you need to stay in the right-hand lane which you know is the slow lane. Once you are aware of what your state wants from you, you can initiate the hauling process, as you now know what you have to work with. Next thing you need to look for is the towing capacity of the trailer. 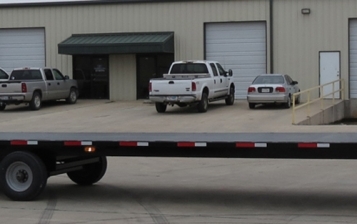 You might not want to embark on the truck that is not capable to handle the trailer you want to tow. So, check whether the truck and trailer can handle the weight of the trailer you want to tow. On top of that, you will also have to make sure that hitch has the capability to handle the load attached to it. So, from the start be knowledgeable about the car trailer you are carrying at the back-whether it is 4 car trailer or 6-car trailer. Calculate the capacity of the tow truck along with the load capacity of the hitch. Be careful about the there, you miscalculated any one of these, then you will face disaster on road. Before you start towing a trailer at the back, calculate the load distribution. 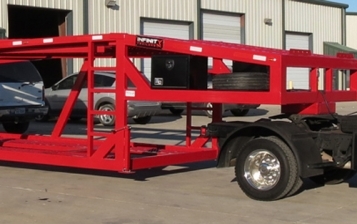 How you load the trailer is very important to know, if the load concentration does not stay uniform throughout the trailer then the trailer will shift to a particular side, that can lead to an accident as well. Drive Slowly: This is the very basic step which you need to follow. No matter how free the road is, do not urge to step on the accelerator, do not forget you are carrying something heavy on the tow at the back. Do Not take Sharp Turns: Making sharp turns can be little tricky, it is recommended to make a wide turn with a trailer in tow, in this way you can save yourself hitting the curb or anything around at the corners. Stay Attentive: Being attentive includes a quick check if the ruck you are moving has enough clearance when you get into tunnel or desire to pass a low hanging bridge. This guideline gives you the necessary safety precautions that need to be followed while driving car trailers. Give yourself a lot of time and practice while driving trailer. Follow every step defined, work on your skill and try to gain confidence. 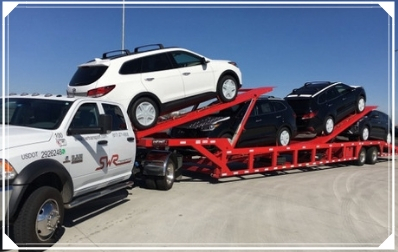 If you want to purchase a car trailer, contact car trailer manufacturer, you can many manufacturers in the US, select the one which suits your business or needs.